Monarch Air Group provides private air charter in Madrid, Spain. Our clients benefit from top-notch service, unrelenting dedication to safety, wide selection of aircraft, and years of experience in chartering private jets. To obtain a free quote, please use our online quoting tool provided below, or call toll free 1-877-281-3051. 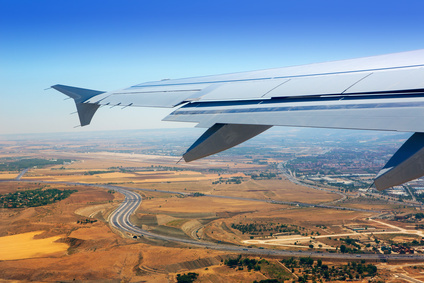 Monarch Air Group provides private jet charter flights in and out of Madrid, Spain. With a population of 3.3 million people, Madrid is the largest city and the capital of Spain. With a total area of 604.3 km2, Madrid is the third-largest city in the European Union. Madrid is also the residence of the Spanish monarch, seat of government, and the political center of Spain. Due to its high quality of living, economic output, and market size, Madrid is considered the main financial center of the Iberian Peninsula and Southern Europe. It is home to the head offices of the main Spanish companies, including Telefónica, Repsol or Iberia. With a population of over 6.271 million people and an area of 4.609,7 km², the Madrid metropolitan area comprises the city of Madrid and 40 surrounding municipalities. It is the third largest metropolitan area in European Union and the largest in Spain. The most notable tourist attractions in Madrid are Botanical Gardens, Campo del Moro, Calle de Atocha, Clock Tower, Debod Temple, Crystal Palace, La Montana Park, Palace Gardens, Madrid Skyline, Palace Guards, Plaza Canovas, Parliament, Plaza de Armas, Real Madrid FC, Puerta de Alcala, San Gines Church, Shopping Madrid, San Miguel Market, Spanish Theatre and many others. The Barajas International Airport is Madrid’s main airport, which serves more than 70 million passengers per year. 1. MAD, Barajas, Madrid, Spain. 2. TOJ, Torrejon Afb, Madrid, Spain. 1. The Westin Palace, Madrid, Plaza de las Cortes, 7, Madrid. 2. Hotel Eden Paraiso Neptuno, Calle de la Montera, 6, Madrid. 3. NH Paseo Del Prado, Plaza Cánovas del Castillo, 4, Madrid. 4. Hotel Senator Gran Vía, Calle Gran Vía, 21, Madrid. 5. Hotel Europa, Calle del Carmen, 4, Madrid. 6. Hotel ME Madrid Reina Victoria, Plaza de Santa Ana, 14, Madrid. 7. Hotel Regina Madrid Web Oficial, C/ Alcalá, 19, Madrid. 8. The Westin Palace, Madrid, Plaza de las Cortes, 7, Madrid. 9. Hotel Vincci Capitol, Calle Gran Vía, 41, Madrid.